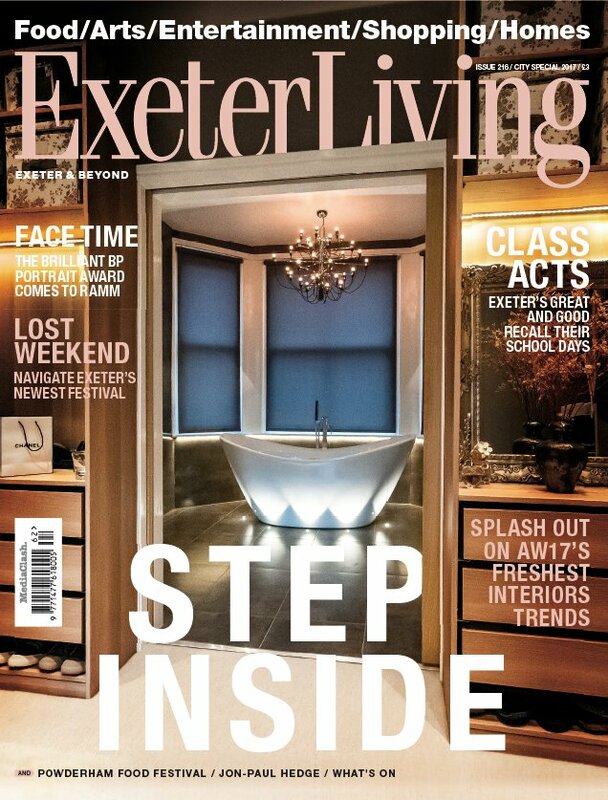 Our recently completed project Hillside has been featured in Exeter Living Magazine this month for the City Special 2017! Hillside was a wonderful project for us to be involved with throughout the project stages. The bold and striking two-storey extension and large scale renovation transformed the original Victorian house, with impressive results that the client loves! In Ex Design ensured the design makes the most of the period features of the original house, whilst the modern extension provides open plan living space which flows between the outside and the inside connected with a comprehensive landscaping scheme which pulls everything together. The master en-suite and dressing room is featured on the front cover for their Interiors Special feature! Click here to view the article online and read about the project with an insight into the design process from Julie-Ann!